Just like every passing year, the year 2018 also saw an array of products, trends, and personalities in the tech sector. While some products and trends managed to become ‘hit’ with both – the users and tech analysts, there were many that ‘missed’ the landing. Unfortunately, this year was quite rough for the tech industry and we saw many ‘accidents’ within the industry. Let’s relive those ‘bad’ memories in this roundup of 2018 tech failures. 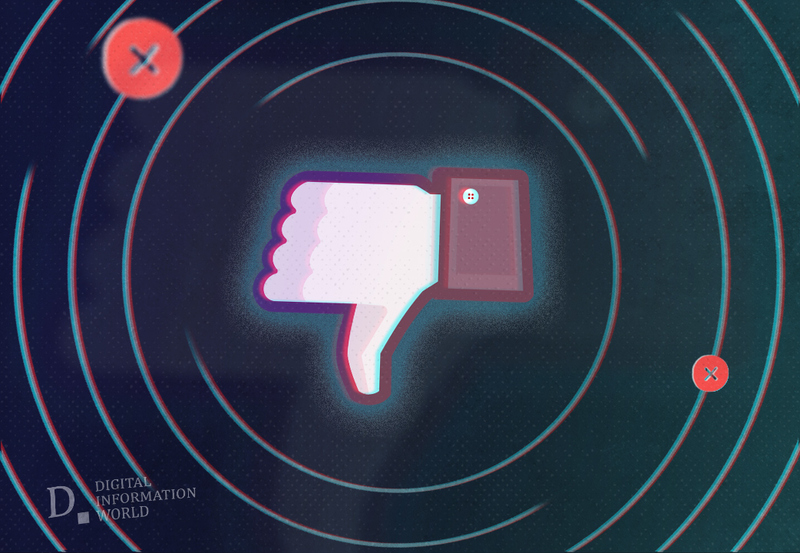 Even though Facebook continues to rein the industry, the year was specifically bad for the social media platform. This includes a security breach that affected the privacy of over 87 million users and the scandal regarding billionaire (as well as a Facebook critic) George Soros – the company has seen it all. Similar to Facebook, Twitter has also been in the limelight for the wrong reasons of course. According to reports, Twitter has received numerous criticisms this year for allowing actual Nazis and white supremacists to tweet with impunity. Twitter also imposed a ban on famous radio host and conspiracy theorist Alex Jones after he repeatedly violated the company’s abusive behavior policy. Remember Google’s plan to create a censored search engine that complies with China’s data and surveillance law? Well, the grapevine suggests that the development for “Project Dragonfly” is underway amidst the numerous protests, strikes, and even resignations by company’s employees and high-profile partners. However, is the censored search engine worth the reputation of the company? A recent report regarding the company’s integration with the Department of Defense project to develop a computer vision system for warfare has also negatively affected Google and put their name under extensive ethical scrutiny. Google+, proposed to be the next big thing after Facebook and Twitter is ultimately closing down within a few months. Apart from never reaching the heights of success as other social media platforms – Google+ faced a massive security breach that exposed data of over half a million users. Google Pixel 3 also makes it to the list of products that failed to impress us in the year 2018. Apart from carrying a very high price tag, the phone experience several bugs, crashes, and photo-saving issues. Although, the company is releasing patches to save the device – it seems that users are opting for other products available in the market that not only cost less but also offers better features. Another disappointing product in Google’s kitty is the Chromebook that lacks decent application support and low-quality material design. It seems that Google Play Store also received many complaints this year regarding malware, ad fraud and hacks. And of course, the constant production of ads in the middle of app usage. Undoubtedly, Apple devices and operating system are grand. But so is their price and many potential consumers are found joking about getting a second mortgage to afford them. Additionally, the demand for their devices has been falling considerably and if President Donald Trump manages to increase tariff on Chinese manufactured goods – the prices will increase significantly. The Qi charging pad that is proposed to work with both – Apple Watch and current models of iPhone was supposed to release in late 2017. Unfortunately, due to some technical issues, the same was released after a year. Moreover, the company had to rely on third parties to supply similar accessories to fill the gaps. Apple’s Siri-powered home speaker system failed to show off its skills especially when compared to Alexa’s Echo and Google Home. Apart from the high price tag, the Homepod does very little than play music in wireless mode. The push-to-talk feature of Apple’s Watch does not exactly come in handy when you can only have a conversation with users of the same brand of smartwatch and not even other Apple consumers such as those who use iPad, iPhone, etc. The Apple’s version of “intelligent assistant” comes nowhere near this year also to the likes of Google Assistant, Amazon’s Alexa, and Microsoft’s Cortana. Users were excited when they first heard about CarPlay and the support it would bring to third-party apps such as Google Maps and Waze. Sadly, they found out that it would not provide the same support as others like Google Assistant do. Surprisingly, iTunes is still running on the same design it was launched 17 years ago. Although the Apple Company is updating the software, it fails to give it a redesign that it desperately needs. Consistent updating of Windows 10 had made the users aggressive and claim that the basic features should not be tampered with so often. The different public cloud models faced so many downtimes this year that users are questioning the reliability and dependability of them. There was a lot of speculation during the year regarding where Amazon would open their HQ2. In the end, Jeff Bezos chose New York City and Washington DC that was a bit disappointing after the long waiting game. The miniature phone or the ‘Palm” that runs Android carries a hefty price tag and users are not interested in another expensive gadget that allows a minimal connection. Contrary to the popular belief – Cryptocurrency is also hackable. In fact, an electronic crypto wallet device named Bitfi (deemed unhackable) was hacked by a 15-year old. Apart from security exploits, Bitcoin crashed severely and lost over 700 billion in value in the last year. Also Read: Which Smartphone Emits The Most And Least Radiation — Samsung, iPhone, Google Pixel, Xiaomi, Nokia, OnePlus or Huawei? The VR headsets failed to create that “wow” factor, especially the current offerings, as they don’t do much when it comes to enhancing user experience. Apple was excited about the launch of their AR-enabled iPads. However, users found it very awkward to hold the tablet in front of them and decided not to purchase these gadgets. The popular ride-sharing service of both – Uber and Lyft saw more than 103 cases of drivers sexually harassing passengers leading to fines and probations. The highly anticipated day when autonomous vehicles are commonplace is still far with several experimental cars facing crashes. Companies of driverless cars that had to deal with collisions include Google’s Waymo, Apple, Uber, and Tesla. Major operating systems are introducing some type of call screening and blocking technology to their devices. Unfortunately, the unsolicited and automated harassment through calls is still a major issue in all parts of the world and no solution is yet visible to stop them. Did we miss any? Do let us know which product failure was the worst for the industry in the comments below!